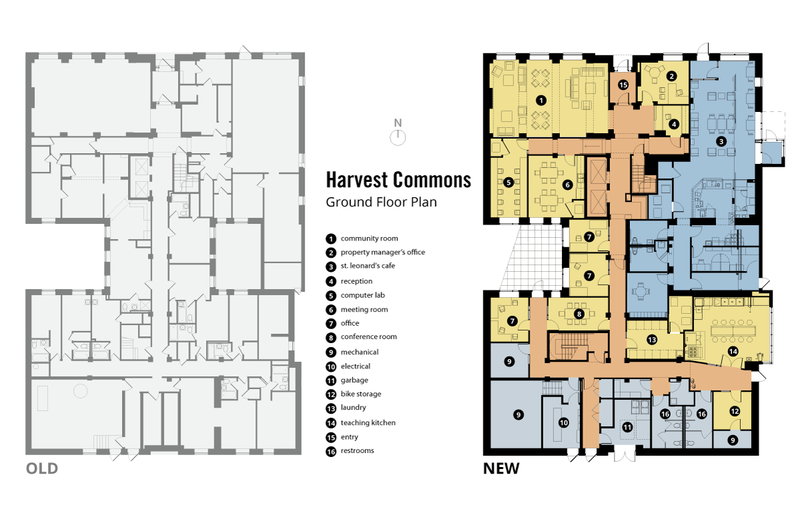 Harvest Commons is a classic example of Art Deco architecture and an innovative model for community-based sustainable preservation. 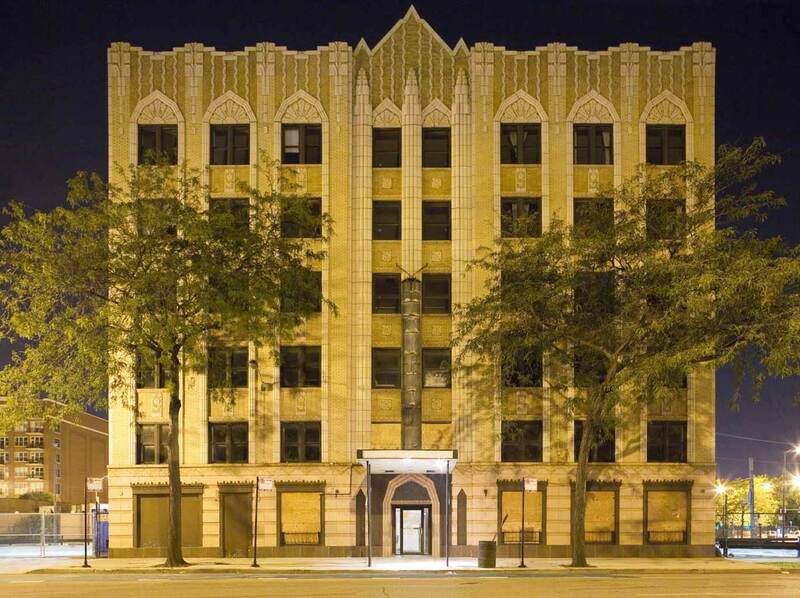 Originally built in 1929-1930 as a residential hotel for “modern living,” the building has experienced several transformations reflecting the cycles of growth, decline, and renewal of the Near West Side neighborhood. 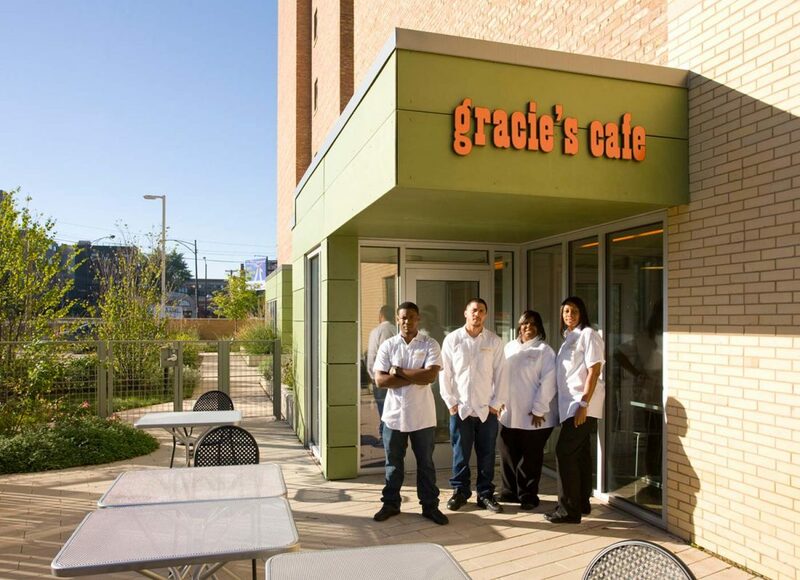 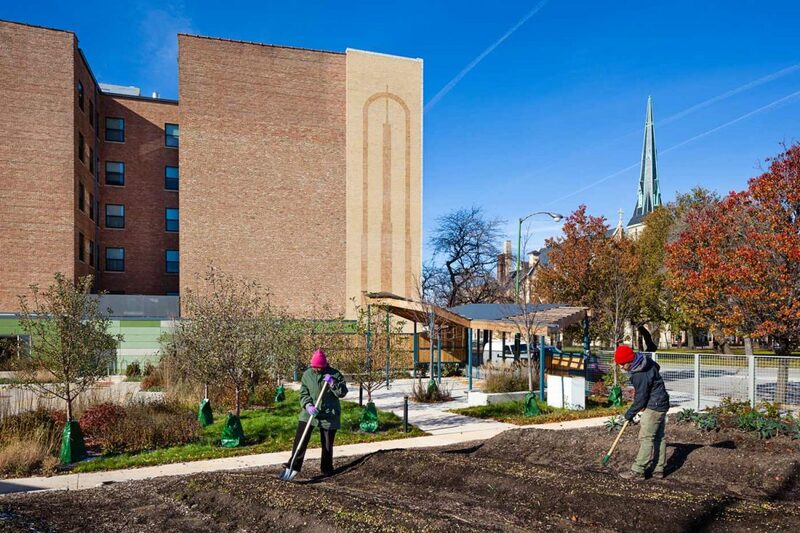 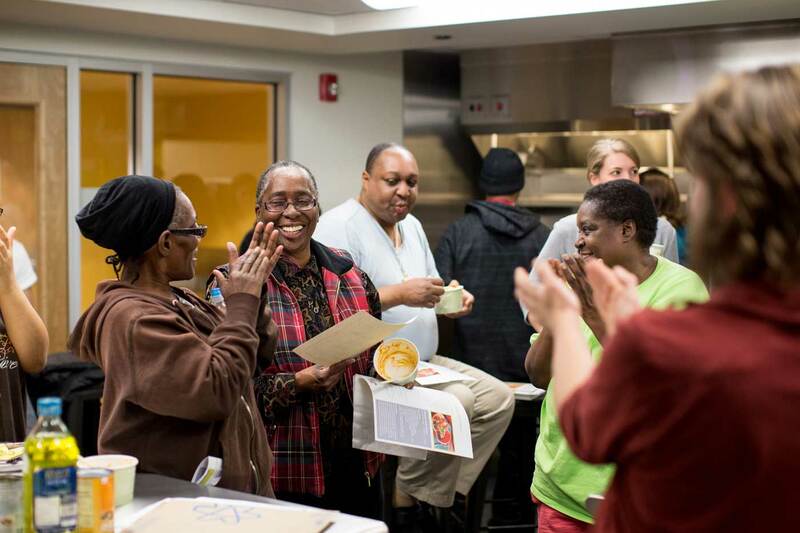 After falling into disrepair and closing nearly a decade ago, this Chicago Landmark building reopened in 2013 as an affordable and green residential project for individuals who are at risk of homelessness. 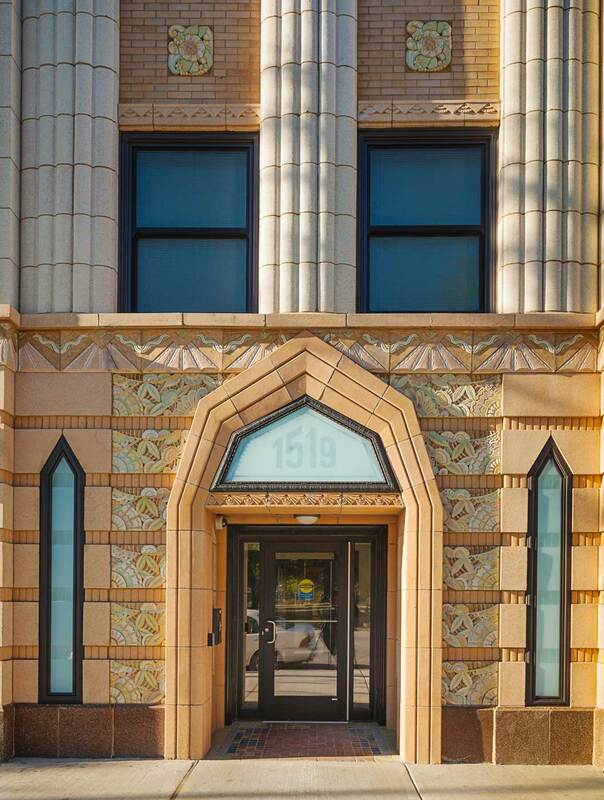 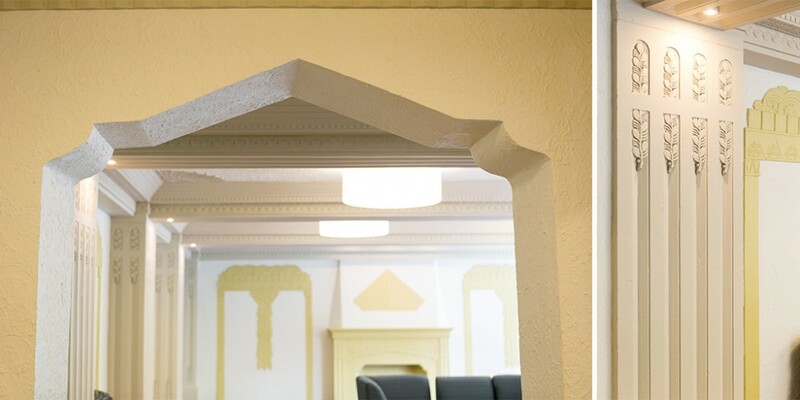 The major restoration involved the exterior façade, historic lobby, front stairway, and barrel vaults, which included restoring the intricate, molded plaster and sculpted terracotta tiles. 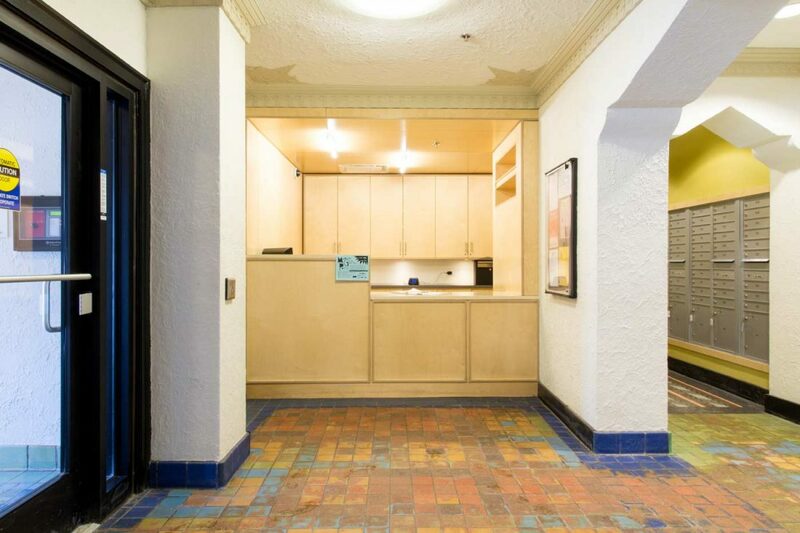 The residential floors were reconfigured to reduce the number of units from 164 to 89. 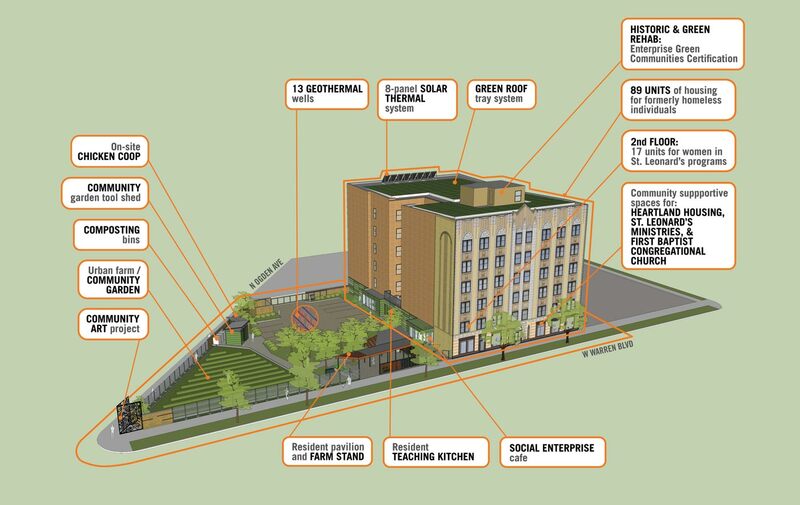 The inventive integration of new building systems included geothermal heating and cooling, a solar-thermal domestic hot water system, and a green roof. 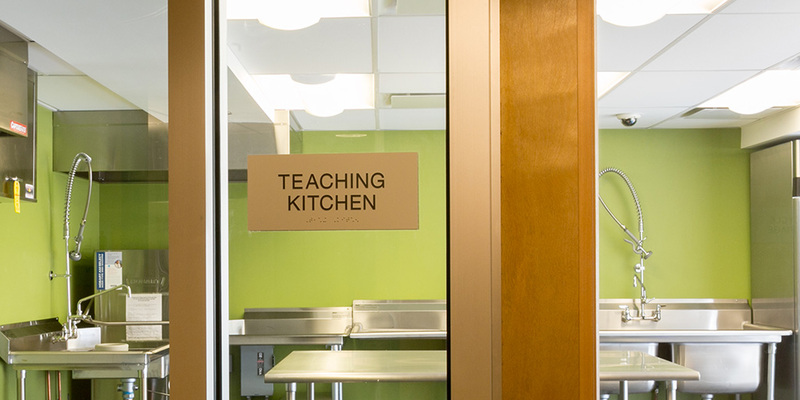 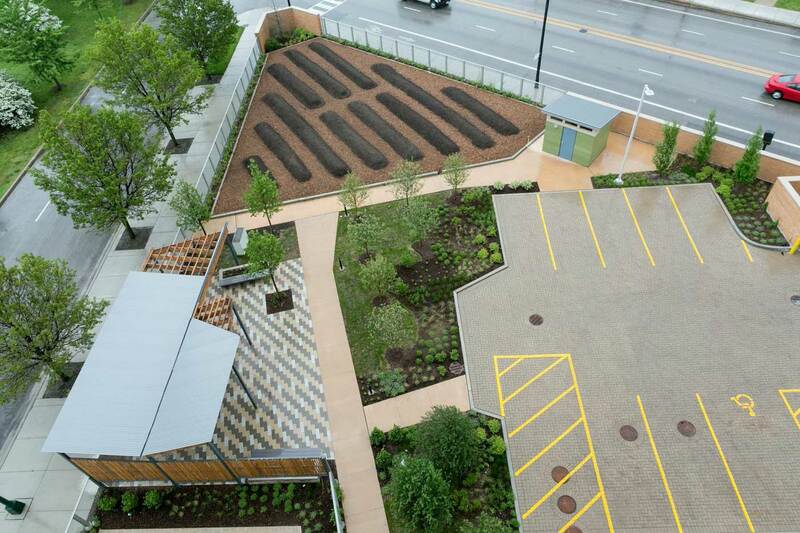 A teaching kitchen where residents can learn about nutrition and food preparation and a public café will be located on the ground floor and connected to an urban farm. 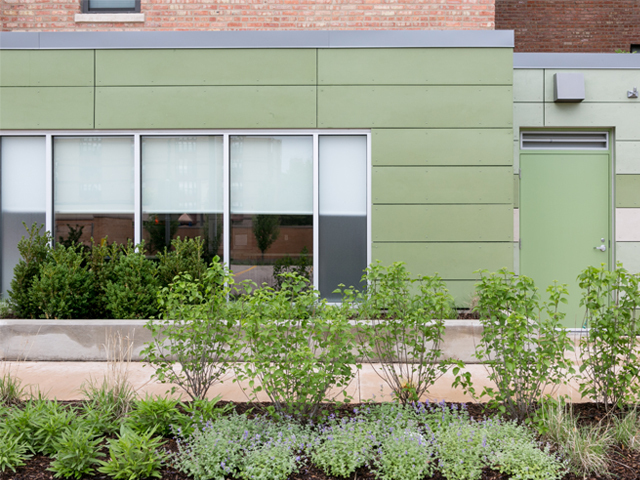 The combination of green technologies and supportive services fosters community within the building, improves residents’ emotional and physical health, and ensures that residents understand and benefit from sustainability. 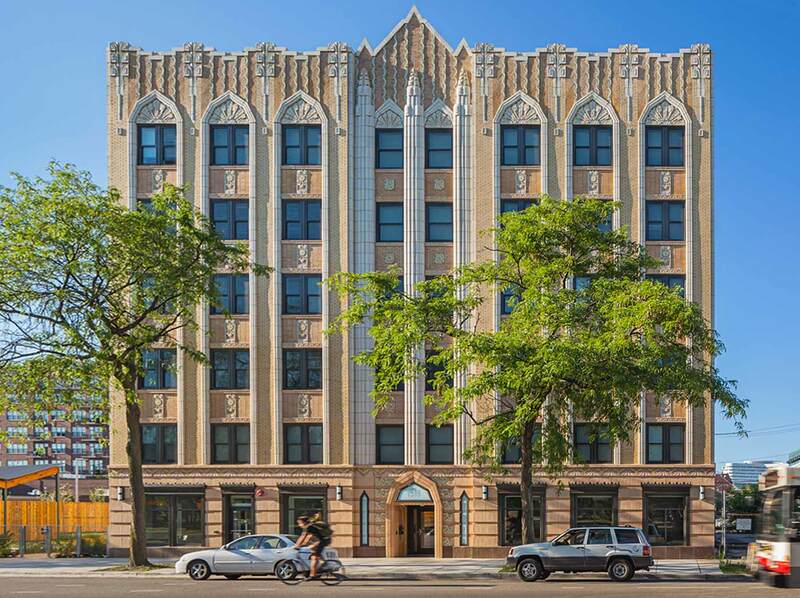 The revitalization of this Chicago Landmark building includes: major restoration to the historic lobby and exterior façade; reconfigured residential floors to reduce the number of units from 150 to 89; green features, such as geothermal heating and cooling, a solar-thermal domestic hot water system, extensive native planting, super-insulation, and advanced sealing techniques; and a social enterprise café, an urban farm, and a teaching kitchen out of which Heartland Housing will provide classes to residents about nutrition and food preparation.